This Bicentennial history represents the work of many people. In the truest sense, its writing has been a community endeavor. Very special recognition must go to Frances and Curtis Frymoyer, however. 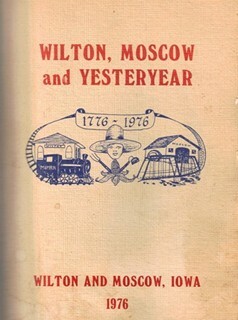 Theirs has been the task of editing and compiling the contributions of others, seeking out and selecting the book's illustratons, of checking historical accuracy, and, in some instances, of writing history segments of their own to insure that no imporant part of the Wilton area's heritage would be overlooked. The community owes a debt of gratitude to these two people. Without their dedication, and their unselfish expenditure of time and energy, this book would not exist.